Plant and flowers are blooming and this Fun Bee Plant Poke is an attractive decoration to add to your pots or gardens. They also make cute gifts to make and give to your favorite gardener. Trace and cut out all pieces. 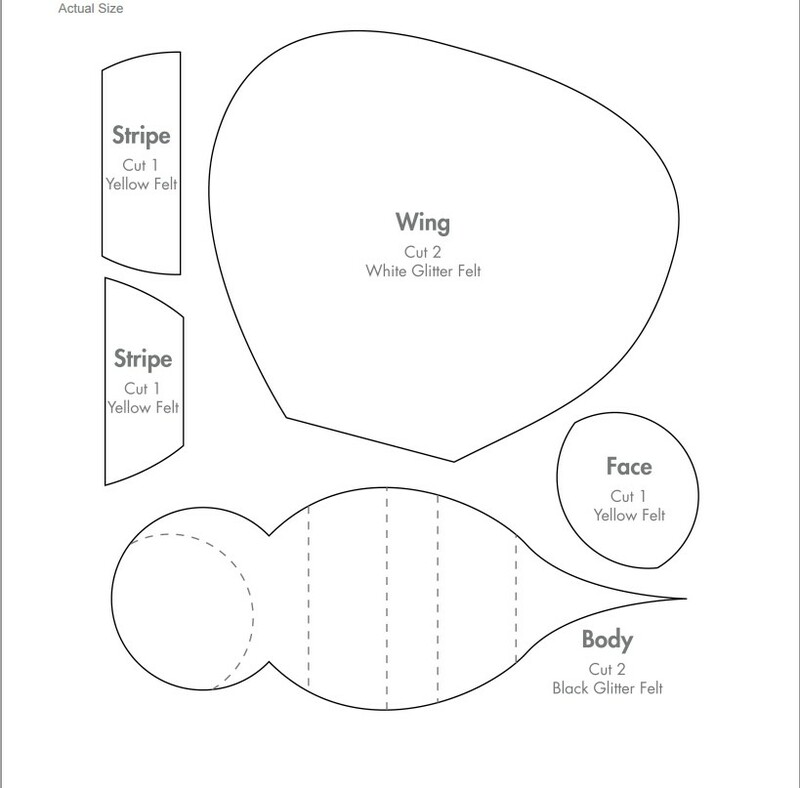 Glue stripes and face to one of the body pieces as indicated on pattern. (the other body piece will be the backing). Layer both wings and the dowel between the back and front body pieces and glue together. For the antenna, bend the wire in half and then use the needle-nose pliers to curl both ends. Glue center of wire to the back of the bee head. Glue on wiggle eyes and draw on mouth with a black permanent marker. The Kunin Group, a division of Foss Manufacturing Company, LLC, supplies a wide range of premium quality felt and fabrics to the worlds craft industry. Packaged for retail display, Kunin products are sold in retail outlets worldwide. All Kunin fabrics are made with Ecospun, the high-quality polyester fiber made from 100% post-consumer recycled plastic bottles. We are a green company as we spin the polyester fiber we use.